Visitors and locals alike will find plenty of things to do in Queenston Heights Park (14184 Niagara Parkway) 11 kilometres north of the falls. This is one of my favourite places to visit early in the morning. There’s plenty of free parking and washrooms are open 24 hours year-round. 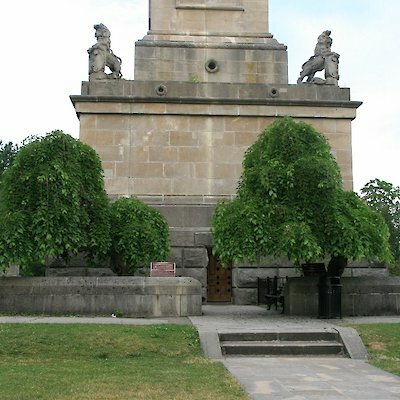 When you walk this beautifully maintained NPC park you’ll discover lovely mature trees, five free tennis courts, a children’s playground, Brock’s Monument built between 1853-56 (Check out the two-164-year-old Mulberry Trees growing in front of the monument), a first-class restaurant, group and individual picnic tables. On Sunday afternoon during July and August, free band concerts are found at the Fred Willett Bandshell. Last year a magnificent, “Landscape of Nations Memorial” art exhibit was erected in this park. 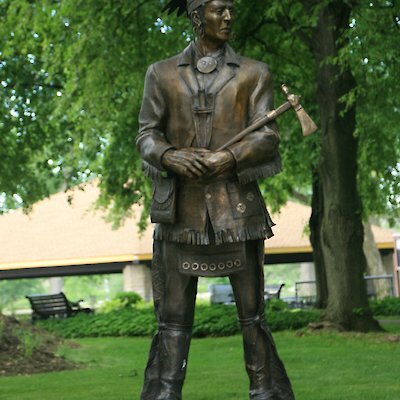 The free exhibit pays tribute to the contribution and sacrifices the Six Nations of The Grand River and their allies made during the War of 1812.A ceremony takes place at the Memorial on Saturday, June 24th between 2 and 4 p.m. This is also, where the Bruce Trail to Tobermory either begins or ends. A short distance from the park is the world famous Floral Clock that pays tribute to Canada’s 150th birthday.